KLRU has chosen three Austin-based partners to implement early-learning programs to support low-income families. KLRU will work with The Thinkery, Communities in Schools, and Boys & Girls Clubs of Central Texas to develop and distribute science and literacy content funded with a Ready-to-Learn Grant from CPB, PBS and from the U.S. Department of Education. The national grant will provide resources to 11 PBS stations, including KLRU, to implement local partnerships in underserved communities. The grant will allow stations to establish community-based networks of strategic local and national partnerships devoted to early learning, focused on disadvantaged children and families. Other communities participating include: Boston, MA (WGBH); Cleveland, OH (WVIZ/PBS ideastream); Cookeville, TN (WCTE); Detroit, MI (Detroit Public Television); Jackson, MS (Mississippi Public Broadcasting); Lexington, KY (Kentucky Educational Television); Los Angeles, CA (PBS SoCaL); Pittsburgh, PA (WQED); Tacoma, WA (KBTC); and Tallahassee, FL (WFSU). Station partnerships will include schools, public libraries, science centers, health clinics and housing agencies that serve high-need populations. In their recent “Kids Count” survey, the Annie E. Casey Foundation found that 54% of America’s 3 and 4-year-olds do not have the opportunity to attend preschool. Through the grant-funded project, CPB and PBS will build on decades of success in developing and distributing content and resources that have been proven to meet the critical school readiness needs of America’s children. Nielsen confirms that PBS stations reach more children ages 2-8 and more children in low-income homes than any other children’s TV network, which makes PBS local stations powerful partners in ensuring access to educational resources. CPB and PBS will build on previously funded work that research has proven to help narrow the achievement gap for children ages 2-8. Third-party studies of content developed through the previous grants show that children exposed to PBS KIDS resources – including Ready To Learn-funded series PEG + CAT and ODD SQUAD – improve in math skills such as counting, recognizing shapes, predicting patterns and problem-solving. Research also shows that usage of this content across media platforms significantly supports children’s early math learning, while increasing family engagement and enhancing educator effectiveness. KLRU-TV, Austin PBS is dedicated to telling stories that entertain, inspire and change our lives. KLRU highlights what makes Austin unique—whether music, arts or public issues — by creating and distributing award-winning original content. KLRU produces several series including Austin City Limits, Arts in Context, Central Texas Gardener, Civic Summit and Overheard with Evan Smith. As a nonprofit educational organization, KLRU also prepares children to succeed in school and creates lifelong learning opportunities for all. Find out more at KLRU.org. The Corporation for Public Broadcasting (CPB), a private, nonprofit corporation created by Congress in 1967, is the steward of the federal government’s investment in public broadcasting. It helps support the operations of nearly 1,500 locally owned and operated public television and radio stations nationwide. CPB is also the largest single source of funding for research, technology and program development for public radio, television and related online services. For more information, visit www.cpb.org and follow us on Twitter @CPBmedia, Facebook, and LinkedIn. PBS, with its over 350 member stations, offers all Americans the opportunity to explore new ideas and new worlds through television and online content. Each month, PBS reaches nearly 100 million people through television and over 28 million people online, inviting them to experience the worlds of science, history, nature and public affairs; to hear diverse viewpoints; and to take front row seats to world-class drama and performances. PBS’ broad array of programs has been consistently honored by the industry’s most coveted award competitions. Teachers of children from pre-K through 12th grade turn to PBS for digital content and services that help bring classroom lessons to life. PBS’ premier children’s TV programming and its website, pbskids.org, are parents’ and teachers’ most trusted partners in inspiring and nurturing curiosity and love of learning in children. 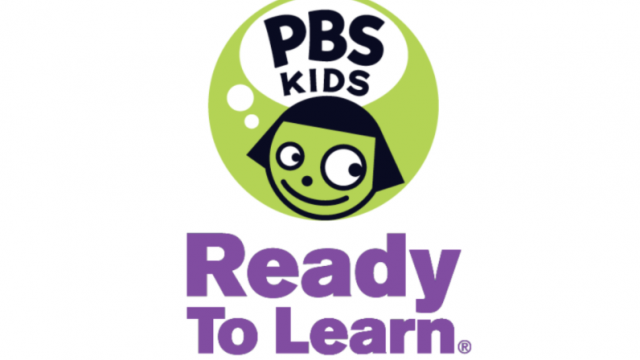 More information about PBS is available at www.pbs.org, one of the leading dot-org websites on the Internet, or by following PBS on Twitter, Facebook or through our apps for mobile devices. Specific program information and updates for press are available at pbs.org/pressroom or by following PBS Pressroom on Twitter. The Ready To Learn Initiative is a cooperative agreement funded and managed by the U.S. Department of Education’s Office of Innovation and Improvement. It supports the development of innovative educational television and digital media targeted to preschool and early elementary school children and their families. Its general goal is to promote early learning and school readiness, with a particular interest in reaching low-income children. In addition to creating television and other media products, the program supports activities intended to promote national distribution of the programming, effective educational uses of the programming, community-based outreach and research on educational effectiveness.